With an impressive 11 reels and 100 paylines, Fire Queen video slots is sure to grab your attention. It's packed with fun and loads of enchanting wins! Play today at Wicked Jackpots! 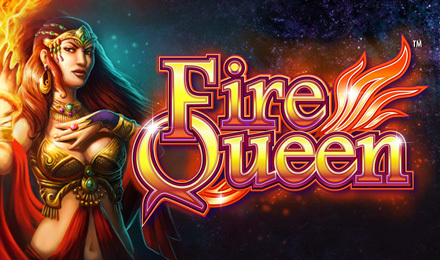 Fire Queen Slots isn't your average online slot game. It has a unique 11 reels and a wicked 100 paylines! The magical game follows the Fire Queen who is trying to defend her riches. There are loads of FREE spins, and if the Fire Queen appears on reels 9, 10 or 11 during your free spins bonus, it will take over the reels. Plus, if you spin 3 mystic balls on reels, 9-11, you will trigger even more free spins! You're guaranteed loads of fun and big wins when you play this captivating video slot game. Good luck!